With the termination of Fabio Cardoso’s contract confirmed today, Rangers have written off yet more cash. Cardoso cost Rangers £1.3M from Vitoria de Setubal which, added to the circa £1M for countryman Bruno Alves has cost Rangers at least £2.3M. We say ‘at least’ because mutual consent costs money – in most cases the player will get a payoff, probably not all their outstanding wages, but a fair sweeter. With best guesswork we’d imagine such a combined payoff to both Alves and Cardoso would amount to at least £1M in total (Alves was already on £1M a year or so, Cardoso would have been at most half of that, but the latter had a much longer deal). So based on the wasted transfer fee and the likely payoff, it’s possible this disastrous pair of Pedro signings cost Rangers around £3M. Of course we aren’t privy to the contracts so no one other than the player, their agent and Rangers’ accountants knows the true figure, but no denying lots of money has been wasted supporting the wrong men at the wrong time. The £6M spent so far by Steven Gerrard looks far better used, with only doubts thus far about Jamie Murphy’s form (not ability) but apparent good value for Nikola Katic and Connor Goldson. Definitely a better use of Rangers’ vital resources than has been pitifully wasted in recent years. It's heartbreaking with fat mike still got is fingers in the pot ! This needs sortin pronto! i make no apologies, but he won't benefit at my kids exspense. The more you look at windass' comments "prove THEM wrong" -who is he talking about the fans? Stevie G n his management team that made that decision? Added to the fact windass is falling out if favour rapidly as far as the team selection is concerned? Has Stevie G had enough of him already? - I know I have! 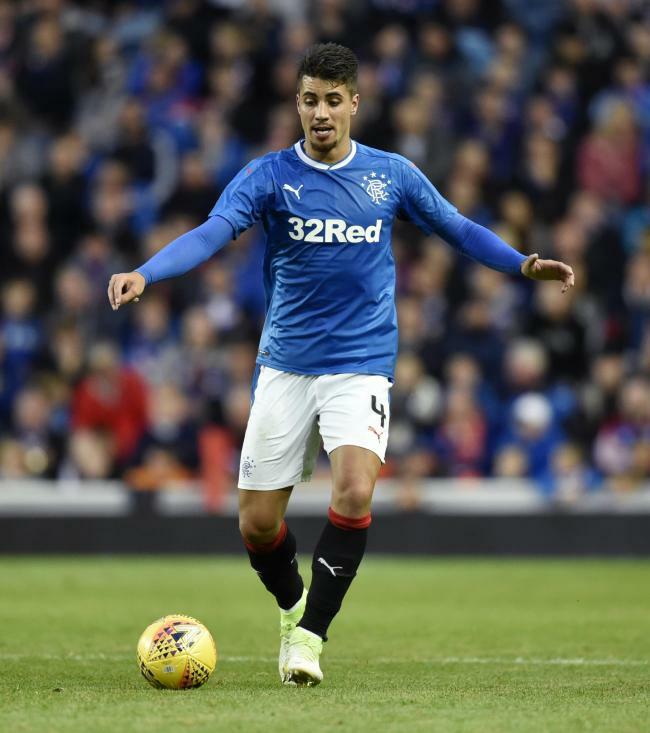 Rumour has it that Rangers agreed to release Cardoso at no cost to the Club so that he could sign for his new club as a free agent securing a signing on fee and a four year contract. That, if true, will save us three years salary at £500k + a year. Our manager steven gerrard has had a productive transfer market,to date thus far.I as a rangers season ticket holder & shareholder,have been really pleased by gerrard's dealings,in the transfer market.Now of course another centre half(left sided) is a priority.I just wish we could have been able to afford signing millwall centre half,big jake cooper.He's exactly what we need.This brings me on to another striker we need to bring in and our bid to bring kyle lafferty, back to ibrox.Lafferty i must make it clear,would't be my choice, but i'd back stevie gerrard fully,if he did sign lafferty.I will state this hear and now,we won't pay hearts anywhere near the 1million quid, they're asking for lafferty and nor should we.He's almost 31 years old and only has 1 year remaining,on his hearts contract.We should offer no more than 500k for him imo.Hand on heart,I honestly don't think this deal will happen anyway,as it has shades of the jamie walker protracted transfer to us last season, written all over it.Hearts owner ann budge,won't budge(pardon the pun) on the lafferty asking price and rangers will not offer anywhere near that as they have shown in their opening offer.We shouldn't and can't waste time with this saga with hearts and lafferty.Offer 500k and no more and when its rejected,we should quickly move on to another striker target. Agreed, I think this entire Lafferty fiasco is just that. Hearts, don't have one when it comes to Rangers. That is fine. We should put that in the 'bank' for future reference. However, move on. Time is finite. When I look back on these signings I wonder if the board had any input whatsoever? What could have possibly sold them on attempting to turn a Scottish football club into some pseudo-Latin side? Hindsight is 20/20 but the logic, or lack thereof is astounding with these signings. Millions just tossed away because of little critical management. Cringeworthy. I can understand why they may have seen the breadman as a good signing, but Pedro was absolute madness from the beginning. Of course the board has to own up! I've said before this is a terrible indictment of the knowledge and ability of previous managers. The fact that we can't seemingly give these guys (Barton, Senderos(? ), Kranjcar, Pena, Herrera, Alves, Cardoso, Forrester, Holt(? ), O'Halloran(?)) away for nothing says it all. They should be embarrassed. I.N. i would appreciate an article regarding what feels like an onslaught from all quarters, or i'm just reading to much into it.I 'm refering to the SD situation coupled wth celtic park getting everything goin whilst the fan zone being rejected. im not the para type, but know injustice when i see it. but over my dead body will i stand by and let myself or club be subjected to this, if im off the scale then i stand corrected. Cardoso was at best a journeyman, he had a few reasonable performances but countered by some dreadful games in the Kiernan mould. I have some sympathy in respect to the horrendous assault he suffered that went unpunished against Motherwell but he was never ever going to be a future Rangers player. I wish him all the luck in his future career as I do with all who have served our club. Totally agree. The boy didn't come over here to fail or to steal wages. To him it was the greatest opportunity of his life and I'm sure he gave it everything. Unfortunately the manager who brought him over knew nothing about the demands of Scottish football (or maybe football anywhere) and Cardoso didn't have the heart or ability to play for Rangers. I'd also wish him all the best and hope he goes on to have a great career. Just not for Rangers. Cardoso has been nothing but, a burden and a wage-thief. got no money for these guys (Cardoso, Barton etc) as in order to attract them to our club, we clearly had to offer wages a lot higher than they could command elsewhere. When you go to sell, nobody is biting - not because nobody wants them, but nobody can match the wages - so these guys either take a pay cut to move to a different club, or try to see out their contract with us. Mutual Consent is a half way house where we pay some of the remainder of their contract as an incentive to get high earners off the books; they, or their agents, use that to balance up that against the lower wages they will receive at their next club. King told us that he had ‘seen off’ Ashley and yet now we know he paid him £3M + 27p per share and now he has the deal(imminent) to sell Rangers merchandise!!! WTF? ?